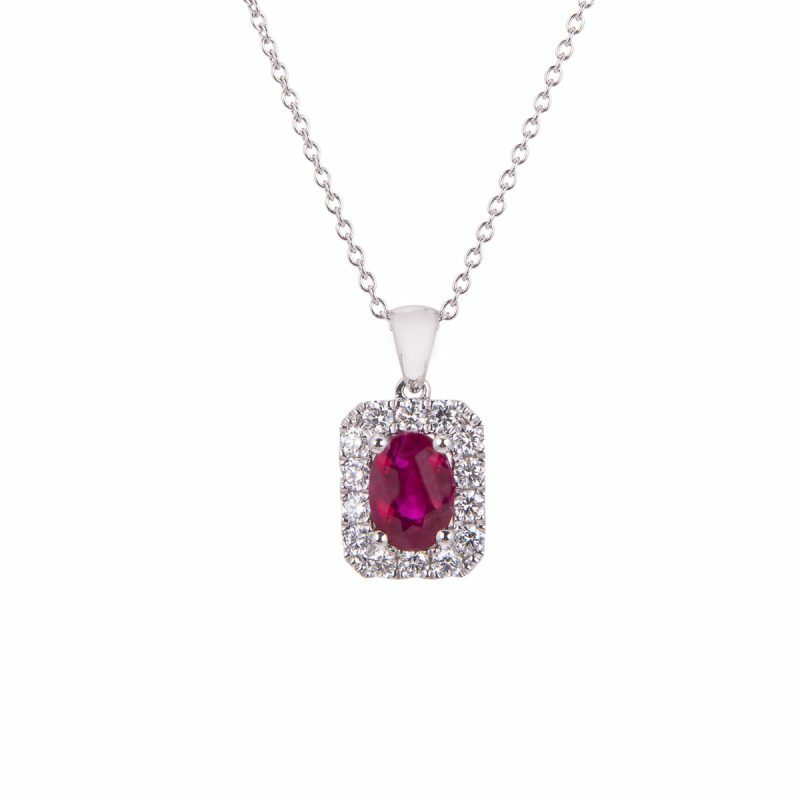 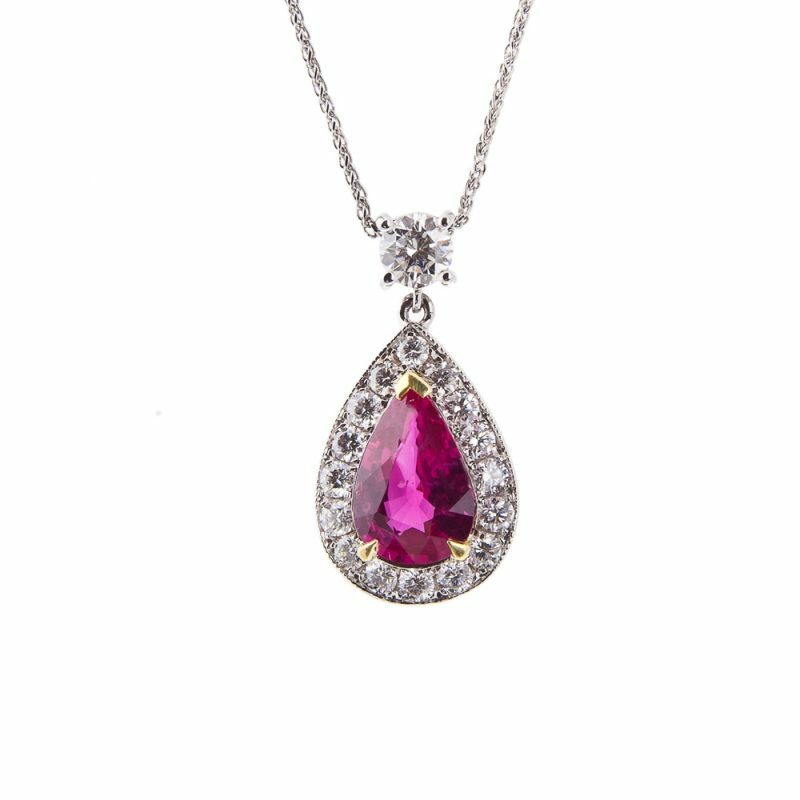 18ct white gold ruby and diamond pendant and chain. The pendant features a radiant oval cut ruby mounted in a 4-claw setting surrounded by a rectangular halo of sparkling rare white brilliant cut diamonds. 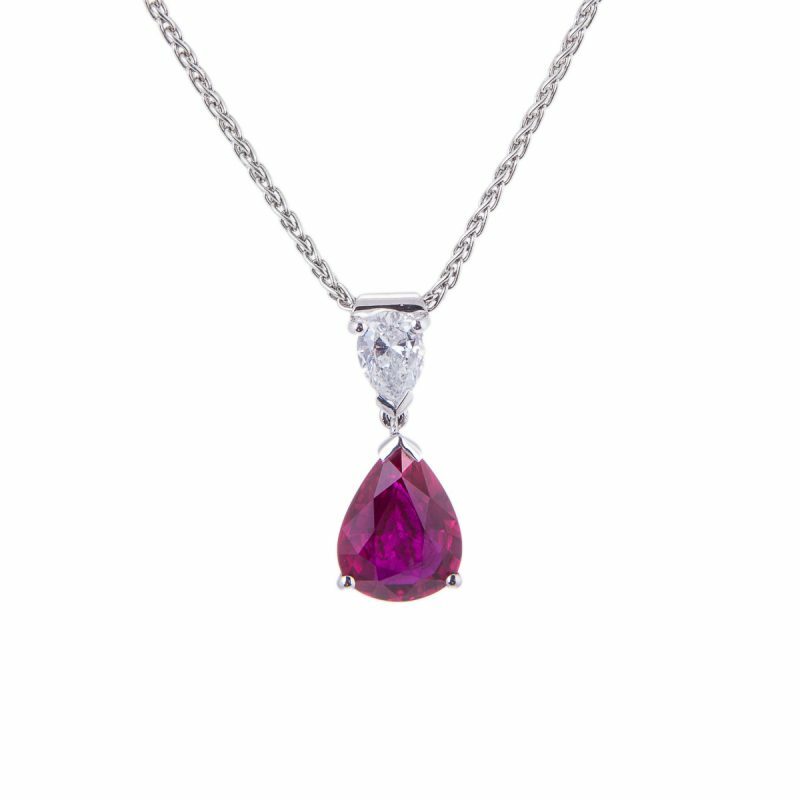 The pendant is priced complete with a fine18ct white gold trace chain. 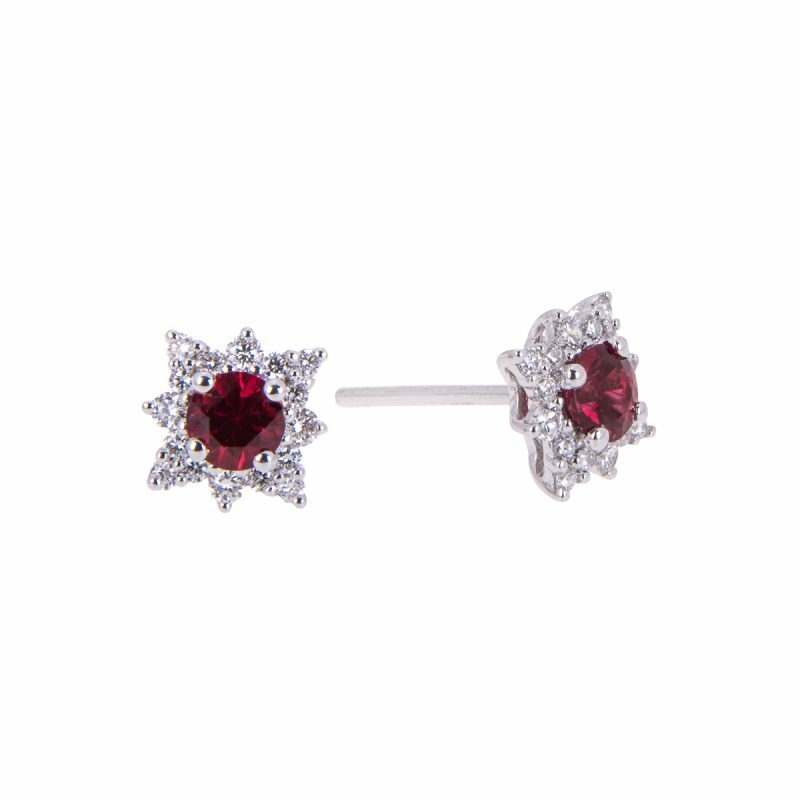 Rich vibrant red rubies are perhaps the most sought after gem in the world, valued for their intense colour, handpicked by Hancocks to create this beautiful piece.